When it comes to investment & insurance providers for SMSFs the good thing is that you have almost unlimited choice. The negative however can be who do you use, or what limitations are imposed, on my SMSF by Sequoia Superannuation. The information below should be able to help you. 1) Sequoia Superannuation Classic Service: We do not restrict which investment and insurance providers your SMSF can use. The choice is 100% up to you. We have provided a list of preferred service providers below as a guide only, these service providers have added features such as direct data feeds to make the administrating and reporting of your SMSF as accurate and timely as possible. 2) Sequoia Superanuation Mini Service: In order for us to streamline our business and to keep our costs down for you we have restricted the investment and insurance providers that the Sequoia Superannuation Mini Service SMSF can use. Please see the list below. We highly recommend you always consult a licensed financial planner before opening any investment or trading account. This is to ensure the appropriateness of such investments having regards to your personal objectives, financial situation and particular needs. If you would like us to refer you to a financial planner in your area feel free to phone us and we will try and assist you. The investment list below is not exhuastive. 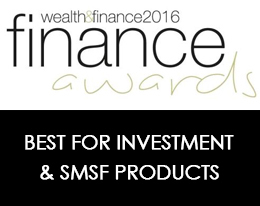 This covers the majority of the investments our SMSF clients hold. If for some reason the type of investment is not listed below please phone or email us. There are so many different transaction and savings accounts in the marketplace. All have different fee structures, interest rates and service levels. You are fee to open any transaction or savings account for your SMSF however Sequoia Superannuation asks you to hold a Macquarie Cash Management Account (CMA). This account is integral to the ongoing administration of your SMSF. If you feel very strongly against having a Macquarie CMA of course Sequoia Superannuation will accommodate you. The main thing is that Sequoia Superannuation receives a daily download from your chosen institution. Please note extra fees and charges may apply if we cannot receive an appropriate download of transactions. Under the Sequoia Superannuation Mini Service a Macquarie CMA is compulsory. Sequoia Superannuation does not limit your choice of accessing term deposit in the market place. 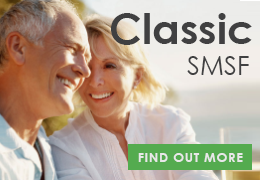 Your SMSF is free to access any that is in the market place. In order to simplify accessing term deposits Sequoia Superannuation has teamed up with Australian Money Market. Australian Money Market is a term deposit platform designed to simplify accessing a range of term deposits offered by many financial institutions. The platform allows you to view current rates online for varies terms from many institutions and then we can transact this for you all over the web with a click of a button. For more information click here. Please note, Australian Money Market is an allowable provider under the Sequoia Superannuation Mini Service Option. It is possible for SMSFs administered by Sequoia Superannuation to invest in direct Residential & Commercial Australian Property. For more information click here. Please note, this is NOT an allowable investment option under the Sequoia Superannuation Mini Service Option. It is possible for SMSFs administered by Sequoia Superannuation to invest in direct Residential & Commercial Australian Property using any bank or lending institution for the loan. For more information click here. Please note, this is NOT an allowable investment option under the Sequoia Superannuation Mini Service Option. If you wish to invest your SMSF into ASX Listed Securities, ASX Listed Warrants, Exchange Traded Options (ETOs) all SMSFs administered by Sequoia Superannuation have the option to do so through any broker of your choice. Sequoia Superannuation has relationships with both E*Trade & D2MX however the choice is yours. If you wish to trade with other providers please phone us to ensure you have the right authorities in place so we can be provided your transactions through a data feed. Please note if your broker does not provide us a data feed addition fees may apply. Please note, E*Trade & D2MX are the only 2 allowable brokers under the Sequoia Superannuation Mini Service Option. Sequoia Superannuation does not have a preferred partner for international shares. You are free to invest in International Shares with any broker of your choice however please understand there are different laws & taxation requirements in each country. It is the responsibility of the trustees of the SMSF to ensure they understand the relevant laws where they are trading international shares. Please note, this is an allowable investment option under the Sequoia Superannuation Mini Service Option if using Sequoia’s preferred broker D2MX. Clients of Sequoia Superannuation have the option to invest in Initial Public Offerings (IPOs) for Companies that are to be Publicly Listed on the Australian Stock Exchange (ASX). Please note, this is an allowable investment option under the Sequoia Superannuation Mini Service Option. Whist Margin Lending is relatively new to SMSFs you are free to use any Margin Loan provider in the market place that is approved for SMSFs. Currently Sequoia Superannuation has a relationship with NAB Equity Lending however we expect this to expand as more lenders come into the SMSF lending marketplace. It is the responsibility of the trustees to ensure the margin loan is approved for SMSFs and that it complies with relevant laws. This is an allowable investment option under the Sequoia Superannuation Mini Service Option. Clients of Sequoia Superannuation can invest in Foreign Exchange (FX) or Futures using any provider in the marketplace. Sequoia Superannuation does not currently have a relationship with any particular provider. Please note, this is NOT an allowable investment option under the Sequoia Superannuation Mini Service Option. If you wish to trade Contracts for Difference (CFDs) with your SMSF you are free to choose any provider in the market place. Please ensure we receive all trading confirmations to ensure we can process each transaction on a timely basis. Please note, this is NOT an allowable investment option under the Sequoia Superannuation Mini Service Option. If you wish to invest in geared investments approved for SMSFs please ensure Sequoia Superannuation is listed as the postal address and primary email to ensure Sequoia Superannuation receive all documentation. Please note it is the responsibility of the trustees of the SMSF to ensure the investment is approved for SMSFs and meets current legislation. Currently Sequoia Superannuation has a relationship with Sequoia Specialist Investments. For more information click here. Please note, investments issued by Sequoia Specialist Investments are allowable investments under the Sequoia Superannuation Mini Service Option. Clients of Sequoia Superannuation can invest in Metals and Commodities using either CFDs platforms, or through relevant broker services or by physically purchasing the Metals. Sequoia Superannuation does not currently have a relationship with any particular provider. Please note, under the Sequoia Superannuation Mini Service, only metals and commodities purchased via an ETF (Exchange Traded Fund) are allowable. Clients of Sequoia Superannuation can invest in Australian and International Managed Funds with any Fund Manager of your liking. Sequoia Superannuation does not currently have a relationship with any particular provider. Please note, under the Sequoia Superannuation Mini Service option only Australian Managed Funds that provide live feeds containing unit balances and values are allowable investment options. Clients of Sequoia Superannuation have the option to invest in any Government and Non Government Bonds and Bonds Issued by Publicly Listed Companies such as Debentures. Please note, this is NOT an allowable investment option under the Sequoia Superannuation Mini Service Option. IT IS VERY IMPORTANT THAT SEQUOIA SUPERANNUATION IS LISTED AS THE POSTAL ADDRESS AND THE PRIMARY EMAIL ADDRESS ON ALL YOUR INVESTMENT & INSURANCE ACCOUNTS. Please note it is the Trustees responsibility of the SMSF to ensure that all investments are approved for SMSFs and that it covers all the relevant laws covering superannuation & SMSFs. Sequoia Superannuation will not be held responsible for any breaches of legislation. Also please be aware it is your responsibility to have an investment strategy in place that covers the investment choices you have made. Like always if unsure please ensure you seek professional advice and where possible Sequoia Superannuation is her to assist you. Lastly please ensure you download, read and understood the relevant Product Disclosure Statement for the relevant investment before investing. ABN 92 140 669 692 © Copyright 2019. All Rights Reserved.